other Mediterranean peoples, from the Levant to Italy, Sicily and Sardinia. 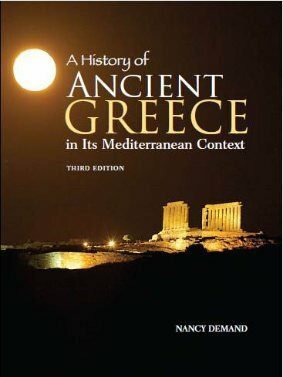 An expansion and updating of the first chapter, which now considers the movement of people from their earliest home in Africa to the Levant and Fertile Crescent, followed by population movements, mostly by sea, to coastal sites across the Mediterranean, including Greece, perhaps brought on by a sudden and disastrous climate change in the east (The Great Exodus of Jacques Cauvin). A reconsideration of the palatial civilization that developed in the third millennium, including the work of scholars, notably Ilse Schoep, who argues that these monumental building complexes came about, not by copying the earlier palaces of the Near East, but by a gradual expansion of the large courtyard buildings built by successful traders/craftsmen. The discovery of an early Linear B tablet at Iklaina, which signals a potential revolution in the history of wiring in Greece, of Mycenaean economic organization, and of the relationship between the mainland and Crete. More Bronze Age discoveries and resulting controversies regarding our understanding of Troy. More information on the significance of maritime interconnections within the Mediterranean, gained from continuing discoveries of shipwrecks. this feature to be especially useful. material that such sites offer. featuring discussions of historical questions by scholars active in the field. excellent opportunities for quizzes or student review.